How To Fix Error Code 800c0008 in Windows Phones : Windows Phones are used widely by the smartphone users. Windows is the Microsoft Operating System which i think most of the people are familiarized with. Microsoft Operating System Windows is one of the best OS but it’s has some bugs. Microsoft designed Mobile Phones like Lumia and other Windows Phone users have to face problem sometimes like an error code 800c0008 in Windows Phones. 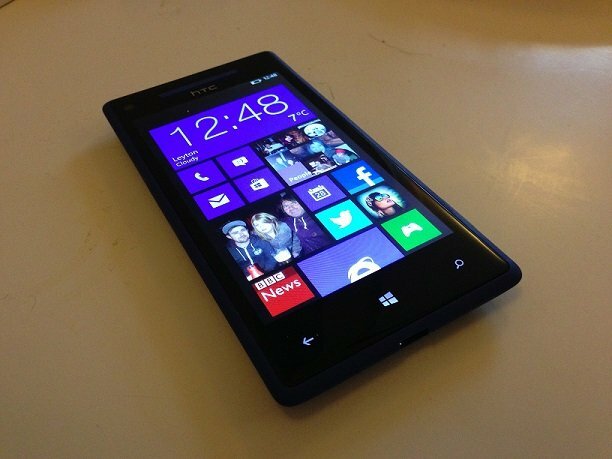 Even with the competition from iOS and Android, Windows Phones are still the best. But even after such a good product, their are some issues and problems Windows Phones users have to face. One of the problem among them is Windows Phone Error Code 800c0008 in Windows Phones. 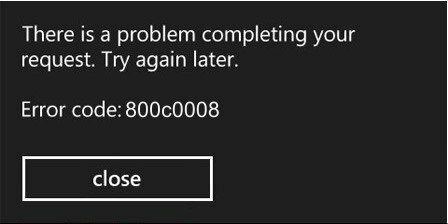 This Error Code 800c0008 in Windows Phones is highly faced by the users who tries to log into their microsoft account after a reset or an windows update. This is pretty common and anyone can face this problem. So here we are with the solution to fix Error Code 800c0008 in Windows Phones. There is a problem completing your request. Try Again Later. You don’t have to worry as i have come up with the solution. Here is an article on “How to Fix Error Code 800c0008 in Windows Phones” which would solve your problem. I am sharing few methods to fix Error Code 800c0008 as there is no specific fix or solution to this Error Code 800c0008 in Windows Phones. Follow these methods until the error Code 800c0008 gets solved. READ ALSO: What to Know When Choosing an SD Card? Here are four methods to fix or solve error code 800c0008 in Windows phones. Check these methods one-by-one and apply them until the problem gets solved. On the Start –> Flick left to the App list –> Tap on Settings. Tap on Date + Time –> Turn off Set automatically. Set the correct values for Time zone, Date, and Time. In most of the cases, this has resolved this issue. So, most probably this method will help you to fix Error Code 800c0008 in Windows Phones. If you are still unable to fix this issue using this method then try the below method. Look For Data Sense Settings –> Turn Off Background Data. This has helped allot of people to fix this issue and this error in most of the cases where this matter is not resolved using the above method is resolved using this. This is very crucial method and is very helpful. So try this, it includes a soft reset of the phone and resetting your microsoft account password. Initially use the computer or laptop to Reset the Password. Log into Account Live with the Microsoft account you have on your phone and fill in all the required fields. Time Zone, Region and DOB are very important. Set the Date And Time Manually in your Phone. Now, Soft Reset your phone by pressing and holding the Power + Volume Down for about 10-15 seconds until the phone restarts automatically. Now, Sync your phone. Go to: Settings –> Email + Accounts. Press and hold the Microsoft account until the Sync Option appears and tap on it for the phone to Sync. Set up your phone after Reset. Sign in using the same Microsoft account you used when you created your backup. When you’re prompted to restore your phone, tap on the backup you created just before Resetting Your Phone, then tap “Next”. If you’re asked to verify your account, provide the necessary security code and other options, then tap on “Next”. Wait for the restore to complete, then tap on “Next“. Enter passwords for your restored accounts, then tap on “Next”. And You have successfully reset your phone without losing any data. Now, Error Code 800c0008 in Windows Phones has also been solved. How to Delete History in Microsoft Edge? Thank you so much I resolved my problem….